In 1893 Clarence Darrow and several prominent Chicago attorneys formed the law firm of Collins, Goodrich, Darrow & Vincent. 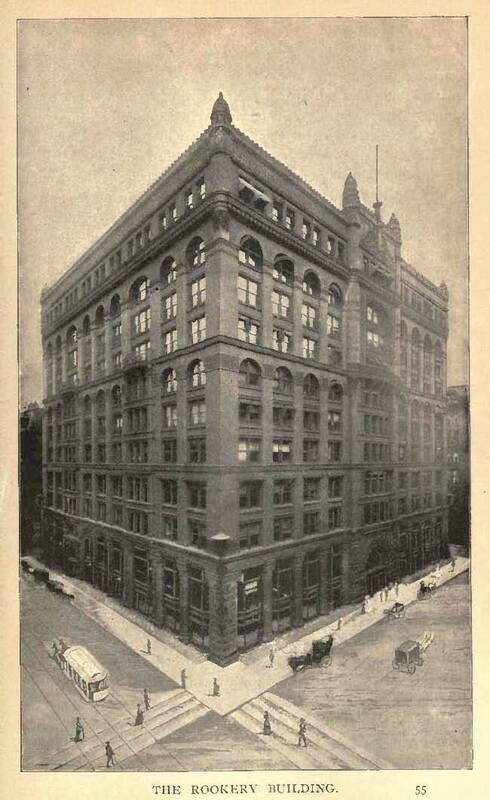 Their law office was in the famous Rookery Building, a historic landmark located in the Loop community area of Chicago. The building is considered a masterpiece of Burnham and Root, one of the most famous architectural firms of the nineteenth century. Photo from the Photographic History of the World's Fair and Sketch of the City of Chicago (1893).